Streets are everywhere. Streets cover the surface of our earth, linking cities and neighborhoods. Streets are for cars and trucks and busses, but they are also for people and animals, too. Streets take us places, but they are also places to be at and visit. A good street feels friendly and safe for young and old. It should be an inviting place for people, with things to see and do. 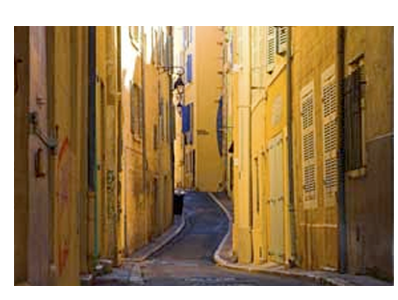 Streets have different names depending on their size (width) and the history of the place. Many streets are named after famous local people. 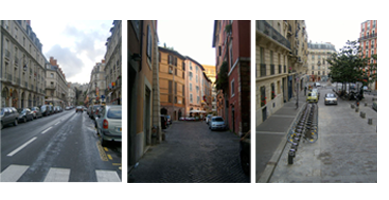 Streets can be alleys, avenues, lanes, boulevards, esplanades, corridors and arteries (highways). 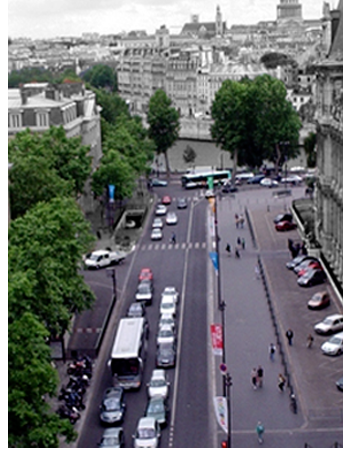 Good streets have zones for traffic, public transportation, people, plants, and activities. Great streets make great cities! How many different kinds of streets does your community have? Do you have a highway? Do you have a boulevard? Do you have avenues, lanes and alleys? Find an example of each street type in your town. With a friend, and watching carefully for moving cars, measure the width of the street from the face of the building across the sidewalk, across parking lanes, across traffic lanes, to the face of the building on the other side. You can also zoom in on Google Earth and use the measuring tool. (You can find this tool in the form of a ruler in the top toolbar). Once you have determined the street width, take a piece of paper and draw a scaled plan and elevation of your street type. You can use photos of the buildings on either side to capture the ‘space’ of the street. Draw the different street widths to scale to compare them. Be sure to label the different zones such as sidewalk, planted strips (with trees), streetlights, parking, etc. Make a Street Journal. Be sure to walk down each of the street types and see what feels differently about them. Be a street engineer. When you visit other places, look carefully at the quality of the life on the street. Be a street watcher! We walk to get to a destination, but sometimes we also just walk to explore and experience. A good street encourages us to walk and explore; a good street encourages us to meet with other people and to see and learn new things. Pick a street in your city that you find interesting. Take a ten-minute walk along that street. Every fifteen seconds take a picture of what you are looking at. Take your pictures home and make a sketch from each of your pictures. 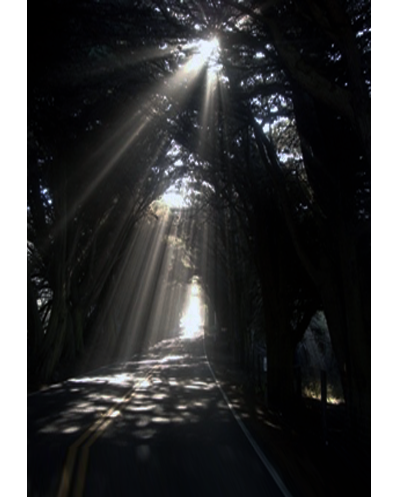 Recreate your walk in a linear timeline. What you are drawing and looking at it is called the pedestrian experience. The more there is to look at and learn from, the richer the pedestrian experience. Walking ten minutes on a street where everything is the same can be monotonous. Pick a street in your community that you think could be improved. What would you like to add? Does your community need rapid transit? Does it need bike lanes? Does it need pedestrian protection and planting separation. Take a picture of an existing street. Then trace over it and draw or collage what you would like to see there. Post your before and after streets. Check out the Brazilian Firm, Urb-i that collects before and after pictures of spaces all over the world. Get inspired! Be a Change Agent! What will our streets look like in the future? How many parallel forms of transportation and mobility will exist on a street? What will the landscape of the street look like? Will there be streets at different levels? Will we have street rooms? 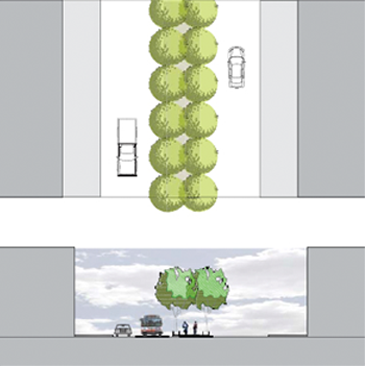 Design the street of your dreams using STREETMIX. Imagine a street of the future and draw or collage it. Show it to your friends. Upload it to the gallery. Streets are only for vehicles. Raised planting beds can separate pedestrians from busy lanes of traffic and help people to feel more comfortable and safe. Streets with slower traffic are safer for pedestrians. Streets need to be lit at night. Streets can be thought of as exterior rooms.